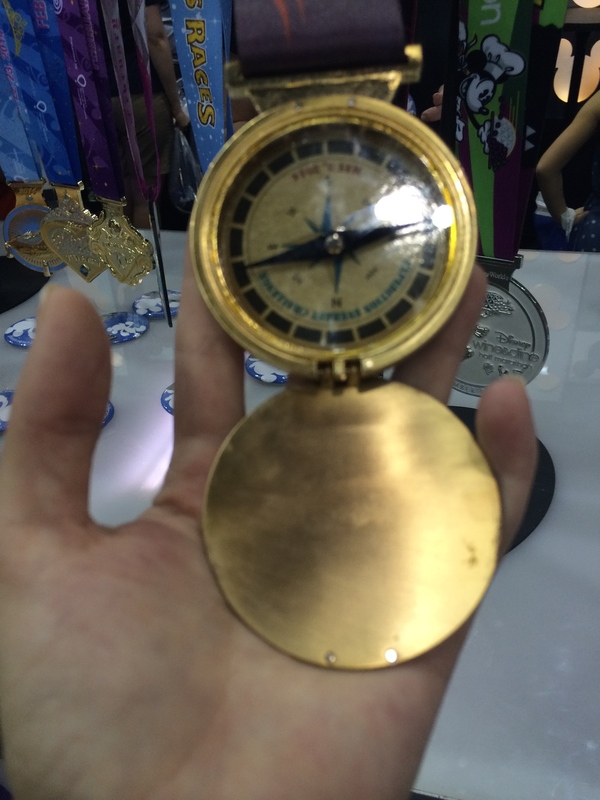 I woke up early enough to get to the expo upon opening, 10 in the morning. The buses were supposed to start leaving your resort from a half hour before. The bus showed up about 9:35am. 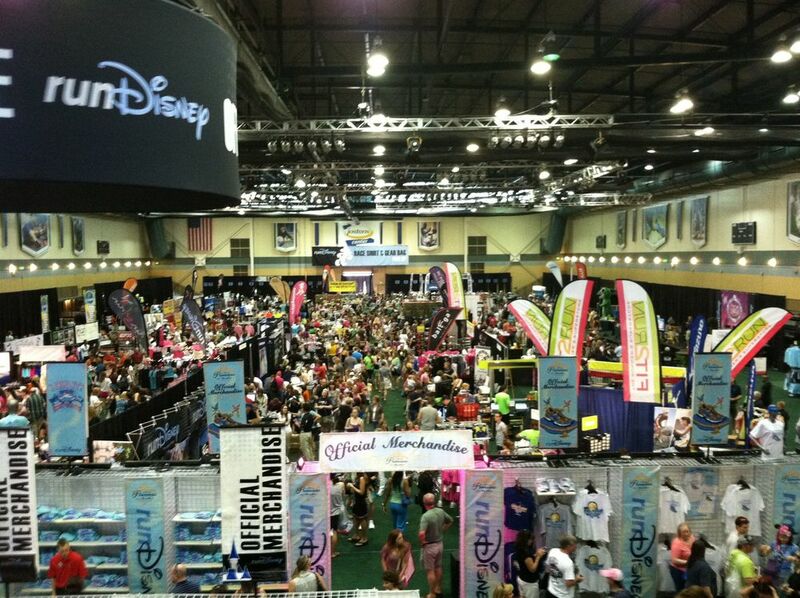 The Expo was held at Wide World of Sports which is just across the street from the Art of Animation and Pop Century resorts. Ironically, our buses were the ones parked farthest from the entrance. Thank you, Value. I should have cabbed it. 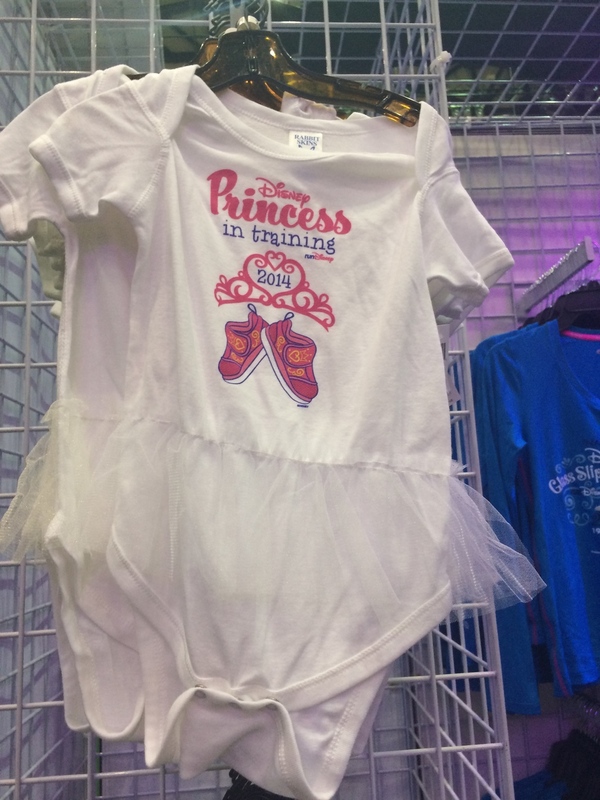 I wasn't sure what to expect with a Disney World Expo. The pickups were spread out, though well organized. It was quite different than it was for Tinkerbell. 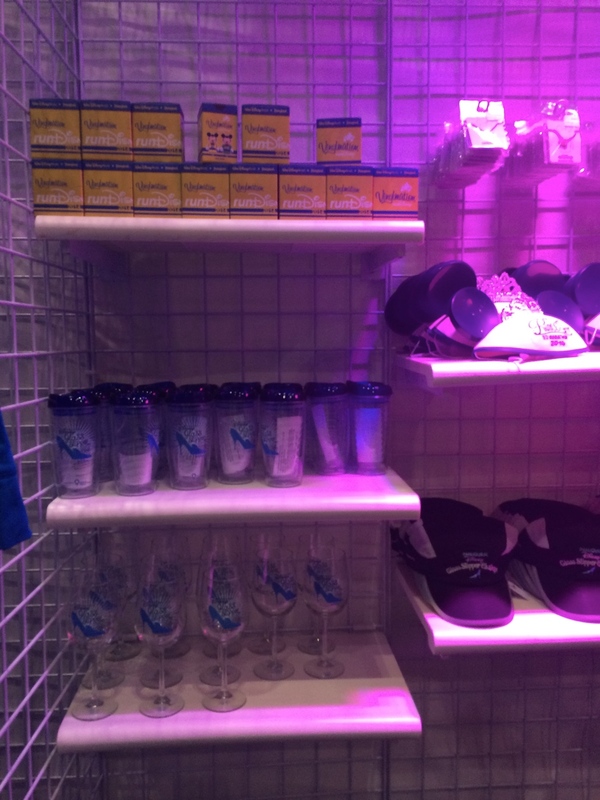 I ran into the Official Merchandise station first, which I didn't even have a line for. Isn't that crazy?! Since there was no line, I took pictures for some groups on Facebook, and then went to packet pickup. I'd come back to this later. 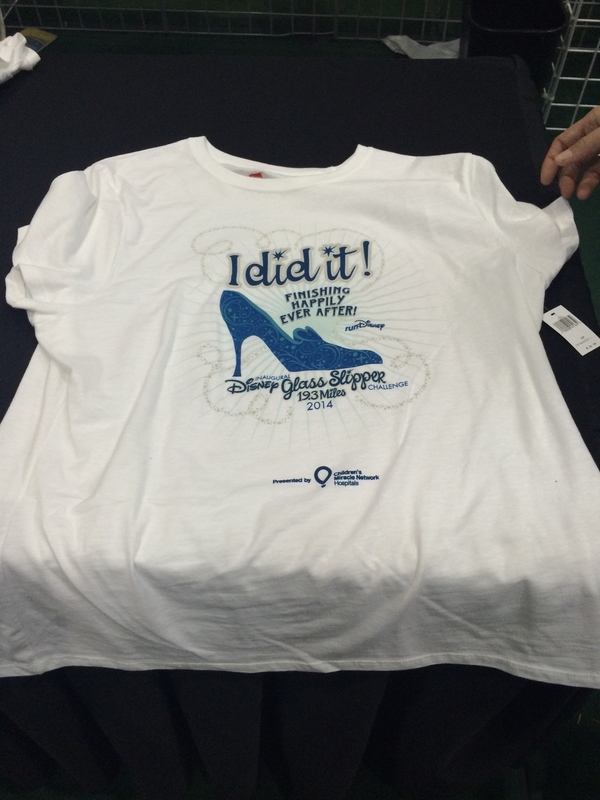 I picked up my Glass Slipper Challenge Packet in one place, then had to head upstairs to get my 5K packet, and Glass Slipper Shirts/bag. 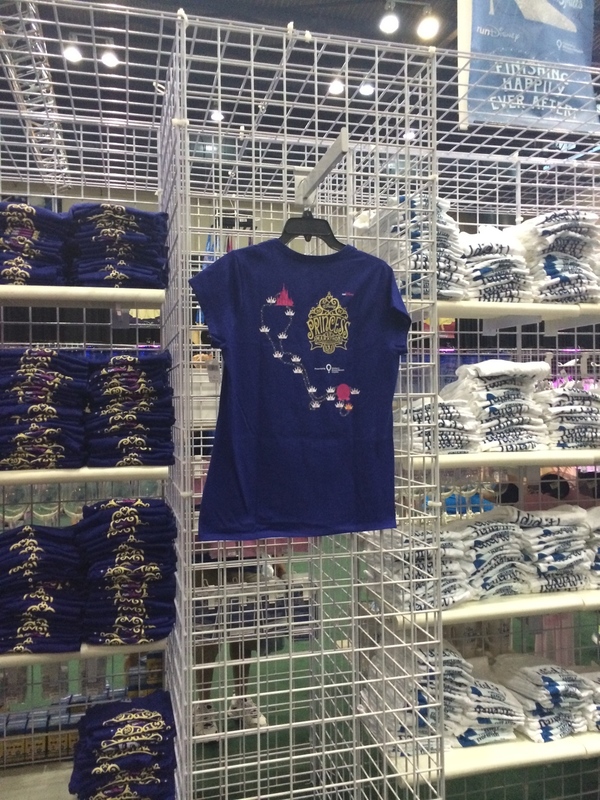 The 5K shirts/bag was in a different building - the one with all the vendors for the Expo. It didn't take too long at all to pick up the packets. I was picking up 5K packets for my friends, too, since their flight arrived late Thursday evening, and we had the race on Friday morning. All went smoothly with that. 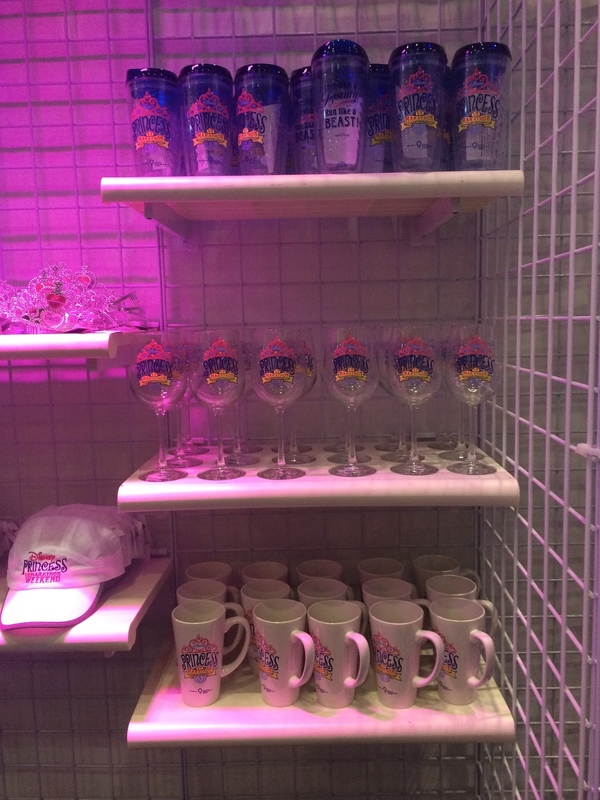 Back downstairs to the merchandise. I'm posting a gallery of all available. The pictures were taken quickly and are not the best. But you'll get the idea. 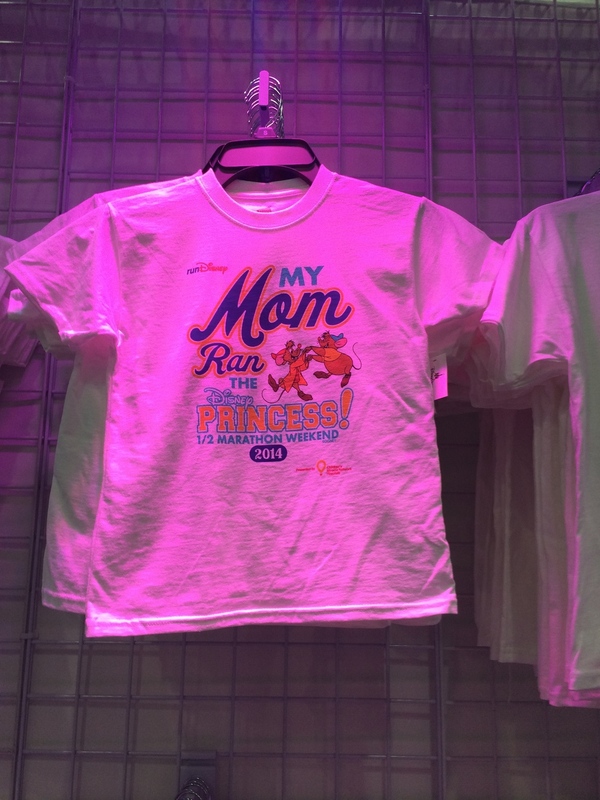 I didn't see any of the "I Did It Shirts" - asking around, I found that they were at the other "official" Disney vendor in the building where I'd pick up my 5K bag. No big deal. I was really amazed at how less crowded this seemed. Though, it's a larger space than the Disneyland Hotel, that's for certain. And, I did get there early. Some people wouldn't be arriving until Saturday if they were only doing the Half Marathon, anyhow. 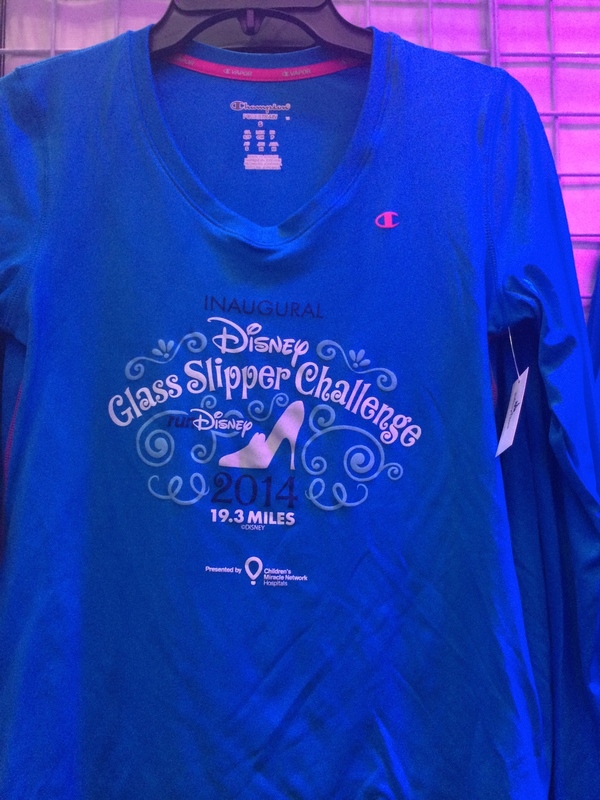 I bought 2 magnets - one for the Half Marathon, and one for the Glass Slipper Challenge. That was it. 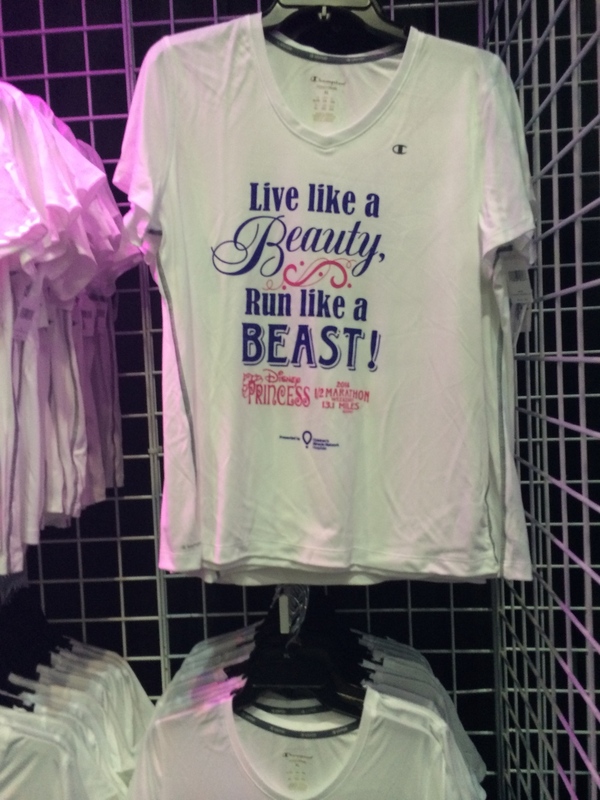 I did like the shirts that said "Run Like a Beauty, Train like a Beast," but I was getting 4 shirts for the weekend with my race fees, so I didn't need anything additional unless it stood out to me and I had to have it. Which, wasn't the case. I wanted more color. It was mostly pink, white and blue. Maybe for the Dumbo they'll be more colorful items. 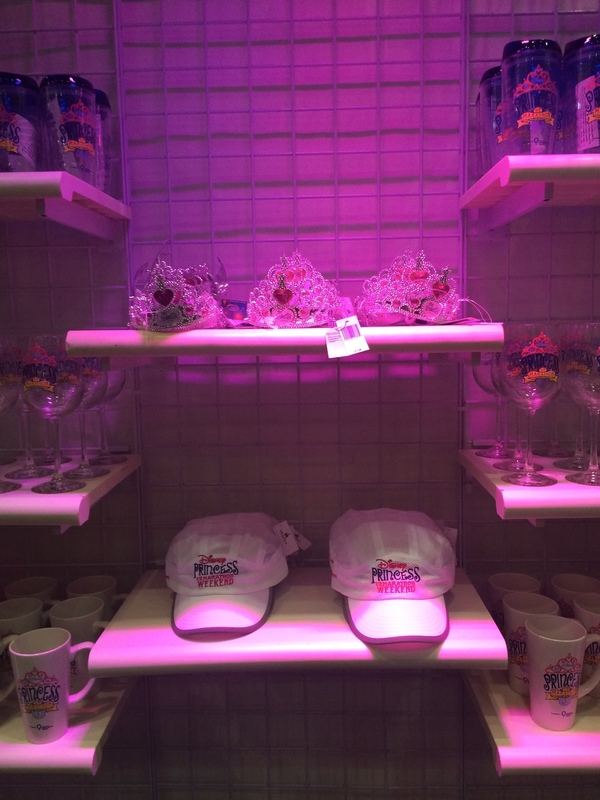 Going by the RunDisney area, I looked at all the medals. 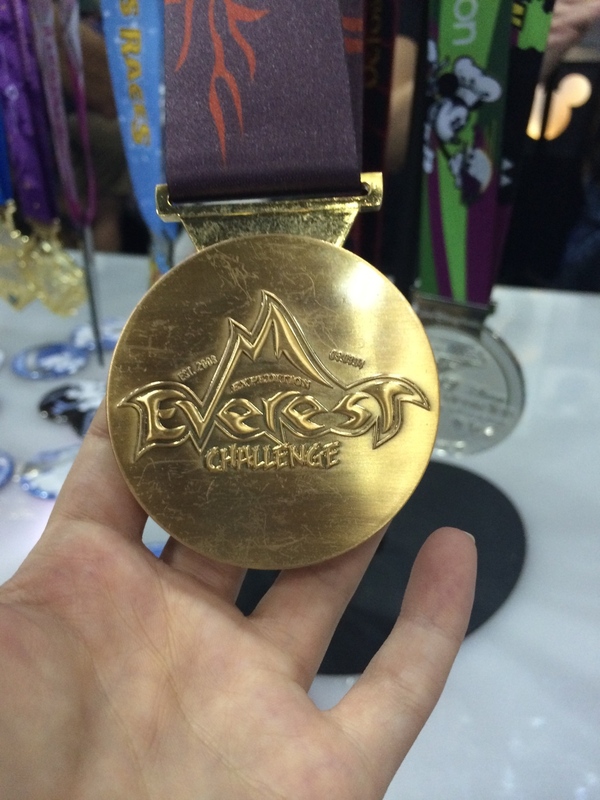 They had the Expedition Everest 2014 medal out. It looks the same as the previous years, but I took a picture anyhow. Looking forward to that race. I ran over to the Sparkle Athletic booth to pick up 2 skirts: a yellow in case I decided to be "Fancy Dress Belle" for one of my races, and a green one for my Ariel outfit for the 10K. I love these skirts. They're a nice overlay (I wear Lululemon speed shorts underneath), and the ladies are so lovely there. 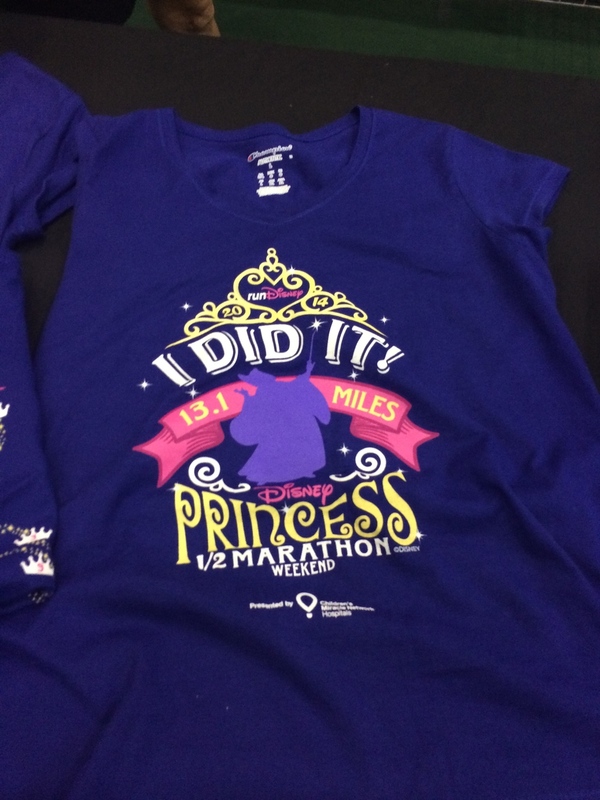 I already had a Minnie mouse skirt of theirs to wear, and would be wearing a Lululemon skirt for Belle during the half. 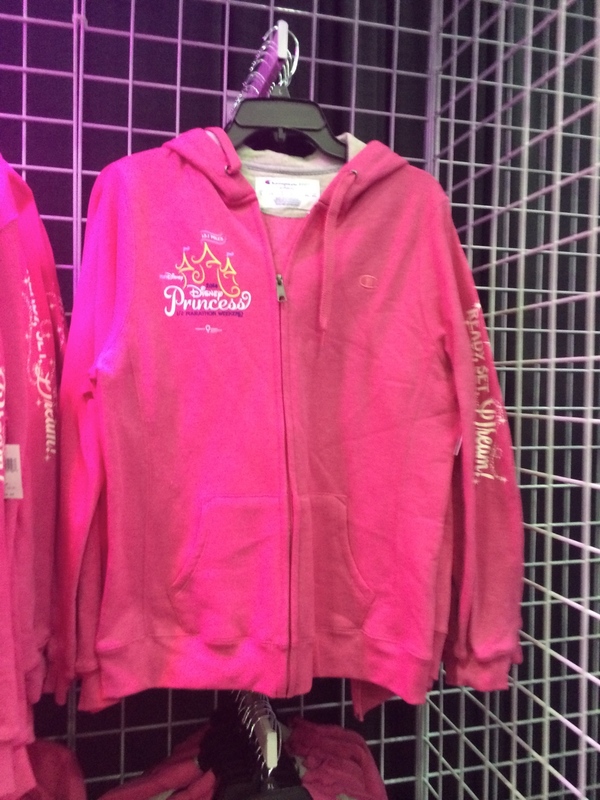 I also went to the Raw Threads booth to get a "Brave" Warrior long sleeve hoodie that I had seen online. They also happened to have stock of Castle to Castle (their version of Coast to Coast) shirts, so I picked up one of those in pink. They were sold out online. And I was done with the expo. It had been less than an hour, so I went through pretty quickly. I headed back to the bus and only one other individual was on it. The bus driver left with just us. She had arrived extra early to pick up New Balance Disney shoes. 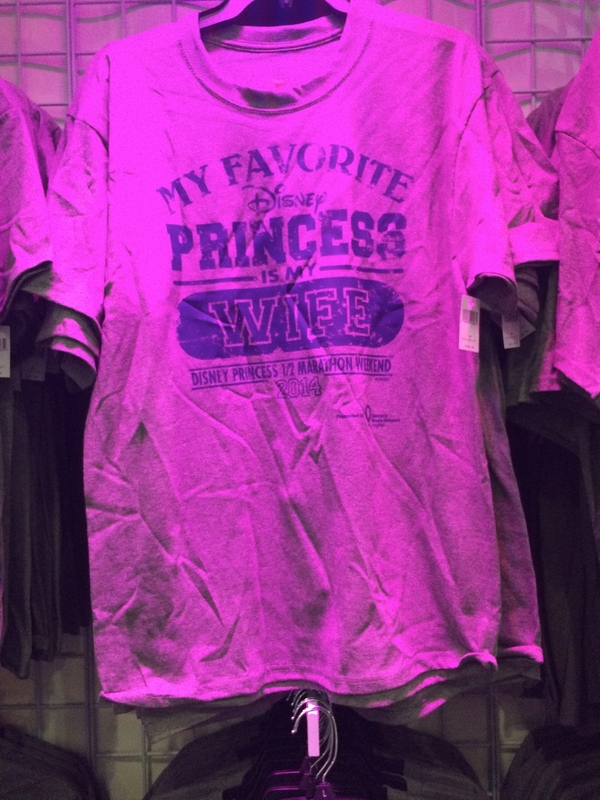 Those hold no interest to me, but they sell out very quickly, too (I'm seeing a theme with Disney, here). 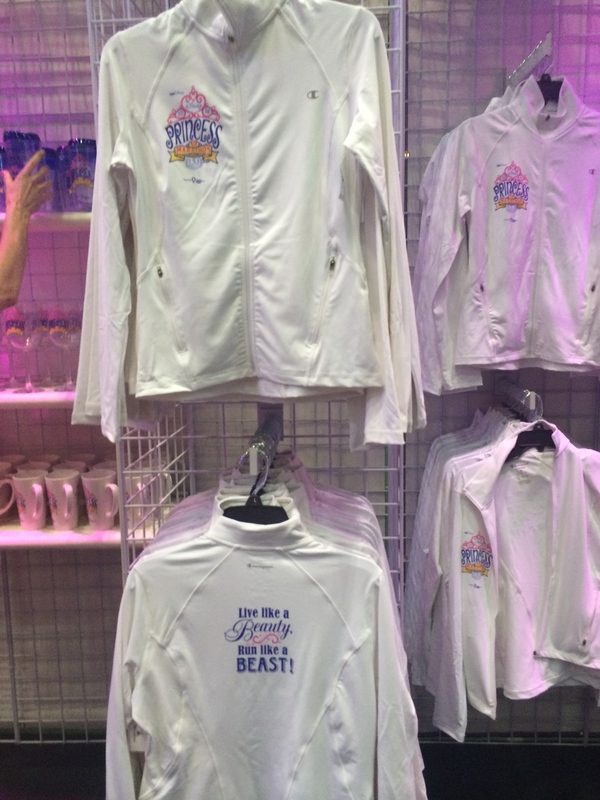 I'd like to review the race shirts here, too. I posted the sneak peek of them before arriving at Disney World. They look the same. 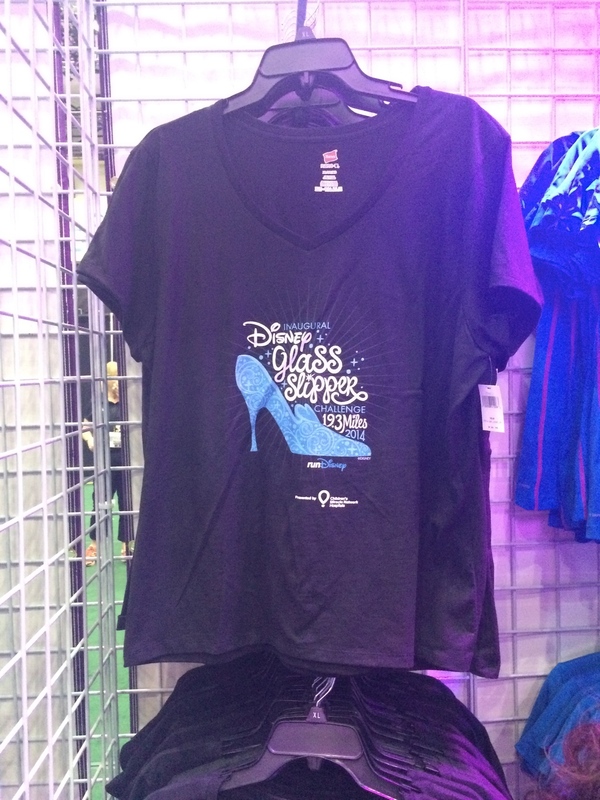 I still like the blue 5K shirt the best. The other race shirts, while nice because they're technical material, fit weird. The v-neck fits more like a crew neck, it's not very deep, so I didn't like that. And they're short sleeve. While it's nice to have that souvenir, I'm not sure I'll be wearing them very often. I much prefer the long sleeve shirts of Tinkerbell. Once back at the resort I dropped off my race materials in my room and headed out for the day. I'll post about Animal Kingdom later.